Is it a message or the name of the event? There's no need to decide. 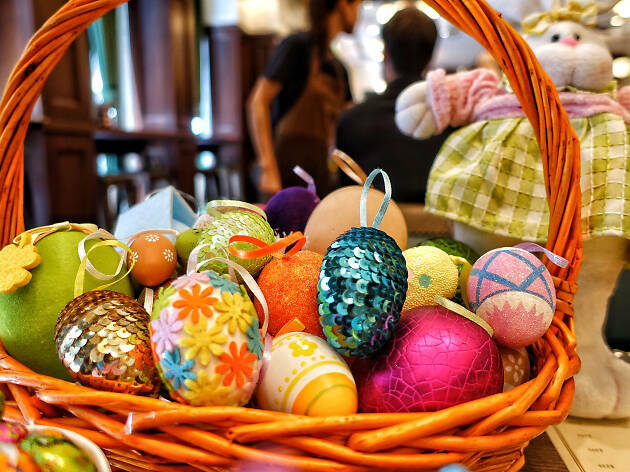 Continuing its tradition of embracing Easter, Frites will be hosting its much-loved egg hunt once again. There'll also be a magic show and competitions for best costumes. Frites' is always popular for the holidays so book ahead to avoid being gutted and egg hunt-less. The parents can enjoy the hearty dishes and selections from Frites’ beer bible. FRITES will be continuing their tradition of Easter fun, Easter egg hunts and kids Easter parties over the Easter long weekend. On Saturday 31st March the FRITES kids Easter parties will kick off at 1:30pm in all venues. 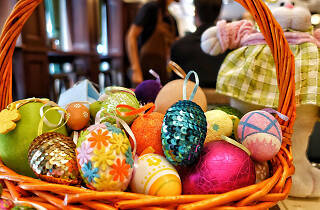 There will be an Easter egg hunt followed by a magic show at 2:30pm. Come dressed in your cutest festive outfits for a chance to win a $500 FRITES voucher for the Best Costume Award. There will be one given away at each venue! For those who can’t make it on Saturday for the main event, FRITES will also be having an Easter egg hunt at all venues, on Friday 30th March and Sunday 1st April at 1:30pm.